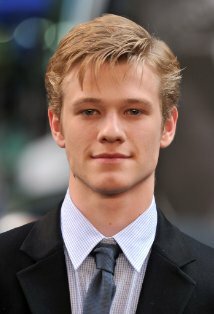 In the latest casting news for the upcoming X-Men: Days of Future Past, a tweet from director Bryan Singer has revealed that Lucas Till will reprise his role as Alex Summers, aka Havok, a mutant with the ability to absorb and release energy. The tweet included a picture of Till in military fatigues in what appears to be a military base. The upcoming film will serve as a sequel to the X-Men: First Class prequel and the original X-Men trilogy, bringing together mutants from both series to combat a shared threat. The cast is already huge, including stars of both franchises like James McAvoy, Michael Fassbender, Jennifer Lawrence, Nicholas Hoult, Hugh Jackman, Ian McKellen, Halle Berry, Ellen Page, Shawn Ashmore, and Anna Paquin. Other new characters include Game of Thrones’ Peter Dinklage as the film’s main antagonist and American Horror Story‘s Evan Peters as mutant Quicksilver. This entry was posted in News and tagged Bryan Singer, casting, days of future past, Hugh Jackman, Ian McKellen, James McAvoy, Lucas Till, Michael Fassbender, x-men. Bookmark the permalink.